Outside of main game play, here are my tips for all new users. If you need to know how to play the game itself, please consult the app’s help section. This part of the site will be a running list of tips for both basic and more advanced gameplay. The community functions in a very similar way to other online gatherings, as the subtleties of the game can be immense. Familiarizing yourself with the unwritten rules will only serve to improve your status and reputation. The game itself is divided into two very different parts. One element is collecting the base and rare cards, and the other element is gaming alongside live UFC events. Eventually, the card exchange will be available to help users exchange lower level cards for rarer ones. Most insert cards score at 1x and are more targeted at people who want to collect rare cards. Some inserts score at higher levels, and the boost level can be seen on the back of the card. There are many types of insert sets, but only two types of basic inserts. The first type is an insert with limited card count, which means that only a certain amount are available before the card will go sold out. The second type of insert is unlimited, which means that that the card is only available during a certain timeframe and the count can go as high as necessary. It is important to understand that with unlimited inserts, cost, odds to pull it, and timers can all have a big impact on the final insert card count. If the cost is high, the odds are high, and the timeframe to get it is short, the card count will be super low. With unlimited inserts, try to pay attention to these elements and watch count before determining how much you want to invest to get the card. When it comes to the collecting side of Knockout, inserts are the main way people function within the app. Insert releases can come at any time, and you will need to pay attention to Twitter or your push notifications to get fair warning when they are coming out. All inserts will usually be accompanied by an article in the newsfeed. That is always the first place I go when I check into the app. You may need to refresh from the top a few times to get the new articles to load. The bigger inserts will be released in the afternoon or evening, when the most people are online, so make sure to check in frequently with your sources to make sure you dont miss out on a limited release. Card values are determined by a slew of factors, and you will sometimes need to break the code to make sure you get a good read on worth when trading or selling a card. Card type – Certain inserts have enormous value, and can make a card of a similar count look cheap. A 200 count top insert will have more value usually than any other 200 card card. NOTE: Just because card counts are equal, does not mean they are equal in value. To participate in the gaming element of Knockout, click on the little fist at the bottom to open the Contest screen. There, you will be able to select from any number of specific contests to play along side other users. Prizes for each contest will differ, and you can see the prize offered from the screen that shows the contest rules. Each contest will have specific rules, so read carefully before you decide which contest to join. There could be elements in play that require you to have certain cards, or play only teams from a certain league, or play a specific type of card. This means its important to confirm you have those cards before signing up. Contest rules also dictate the style of play that users will have to adhere to. The standard contest is built around the different fights that are taking place, with 50 fighter switches allowed per contest. As we approach different events, the format could change drastically – stay up to date on the rules before joining. To score enough to hit the award platforms on Knockout contests, you will need to change your lineup frequently over the event. If the contest lasts over the course of more than a few fights, the more times you change your lineup the better. In these contests, there is currently a switch limit, meaning that each change to the lineup will subtract from your total. You will not be charged for the switch until you hit save, so dont get scared if you make a mistake in choosing the wrong card. Just dont hit the button until you are sure. Cards MUST BE IN YOUR STARTING LINEUP at the time the points are accumulated to get the points for the fighter. Fighters on your bench will not score, even if they score a number of takedowns. You need to have them in play to score. Points are accumulated through the UFC API feed, which means that they will only be updated live as the other UFC apps get the feed. Points are not instant, but are accumulated usually within 30-60 seconds. Before making any switches, make sure you get the points by refreshing your total. Do not take out a fighter until you get the points from their action. It can help to avoid small point level switches, and focus on the big spots during a fight. Make sure to study point totals to ensure you dont miss something big while waiting for something small. You can play more than one card of any fighter at any time in your starting lineup as long as contest rules allow, so try to get more copies of your top scoring cards to play multiples for higher accumulation of points. Fighter points are based on their performance during the fight, with a focus on strikes, submissions and takedowns. Negative points can accumulate if a fighter starts getting beat, so dont leave them in if their match isnt looking like they are doing well. Each card has different strengths and weaknesses, which can add points on both the positive and negative side. If your fighter is a submission expert, it might be better to put that card in for his/her strength (shown in green on the front). Plan accordingly to use the specific type of card that avoids the strength of the fighter they are going up against too. Weaknesses can pile up the negative points. It is in your best interest to play in as many contests as possible. Prizes will range from coins to packs of cards, to XP to all sorts of fun stuff. More cards will mean more trade bait and more trade bait will mean better lineups available when you trade for stuff you need. If you get coins instead of cards, it can help get you more ammo to open insert packs, which can be very tough to pull anything other than base. When you join a contest, especially a pay contest, you will be able to see the prizes being offered. Premium contests will have better prizes, as you will need to pay the entry fee before participating. Some contests will require you to spend past your daily bonus, so make sure you only play in contests you research ahead of time, unless coins are not in short supply for you. Prizes are awarded for places below first, so you do not need to win to get something out of the contest. Weigh the prize you will probably win against the cost of the contest to get a good gauge of whether it is worth playing that contest. Free contest should be played every time they are available. New for 2016 is the introduction of player levels, which showcase your progress within the game. Each level is composed of XP granted within the app for completing certain tasks or actions. As your level grows, your access to the game should increase. You will play against more seasoned users, and there are other parts of the game that might be accessible. Depending on how much this prestige means to you should be a determining factor on your attention to the actions required to increase XP. If you have played Star Wars Card Trader or Bunt, you are well familiar with the concept of the card exchange. Basically, you will exchange cards you have for special offers of higher level base cards or other rewards through the interface. The cards you exchange will be REMOVED from your collection, so do not exchange any card you want to keep, unless you are sure you can replace it. To access the card exchange, go to the main sheet and select it from the top menu. It will bring up a list of cards that are available to exchange, including ones you already have. Different cards require different things to achieve the requirements for the exchange, so be sure to note the formula when you pull up the card you want. You will not be able to be a top player without trading. Its one of the most important elements of the game, and will be one of the only ways to truly reach full potential. Start at the bottom and work your way up. You will get to open a lot of packs during the course of the game, so dont think it is necessary to accumulate every card in the game from the start. Try to set collecting goals for both your card sheet and your gaming deck. Accomplishing these goals one by one is a much more reasonable approach than going crazy and trying to get everything. YOU WILL NOT GET EVERY CARD IN THE GAME. Inserts are hard to pull, and are valuable because of that reason. You might go a number of packs before you pull an insert. Go on the fan feed and search out players that have a high trader score and a high collection score by their name. They will likely have a ton of duplicate cards and will trade you commons and boosts for next to nothing. Be conscious of who you are trading with! Collectors will value rarity over gameplay and points players will want multiple copies of high scoring cards. If you go into someone’s profile, and see they have a ton of nice cards but not many dupes, they may be a collector. Points players will have tons of boosts and high scoring cards in multiples. For a collector type user, dont offer on their single cards, and be very conscious of the card count number on the back of the card. If you have a low count card that they want, you will be golden. But dont expect them to part with their prized possessions easily. For points type users, I would suggest offering more on the cards with dupes above nine. It means that they have more of that player than they can play at one time. They may be saving trade bait for new cards, so dont lowball them and expect them to be happy. Insert marathons with high pack odds and low count releases are among the highest value cards in the game, dont offer commons and non-inserts for any of these cards. It will only cause friction and low trader scores. I had to give up quite a bit of nice cards to get my first one of these cards in the other apps, and UFC will function exactly the same. You will have to work your way up to it or get lucky and pull one in a pack. I would suggest against lowballing any user when it comes to high value cards. When it comes to lower value cards, lowball away. You never know, but be prepared to be ignored if you offer junk for nice stuff. If a user declines your trade without a counter, do not try offering again on that card for at least a few hours. No one likes being harassed. Even though old cards do not score, collection centerpiece cards still maintain value. Do not expect to be able to trade commons for rare old cards, just because they are old. NOTE: Just because someone doesnt have the card you have does not mean they will necessarily overpay for it. Need does not always equal want. A pithy approach is preferred, so many users use shorthand for different terms within the game. I have built a glossary for the majority of those terms at the top of this page. To get the most offers, post frequently. At busy times of the day, the feed will average 50-100 posts per minute, leading to your post getting buried if you do not re-submit at least a few times. I will usually post 3-4 posts in 2-3 minutes and then start checking my trades. If you want to locate certain types of posts, use the search feature to look for people that mentioned what you are looking for in your collection. Your collection score will change frequently as new cards are released, or you add/subtract cards from your collection. Because collection score is an amalgamation of you vs everyone else, your score may change with no direct influence. Users with a collection score above 90 are the top users, and will likely not have many cards they dont have, consult their collections to see what they might need before making offers. Trader feedback represents how other users have scored your trade offers, and it is visible to everyone in the game. I look at trader rating score as more an indicator to YOU as to the strength of YOUR offers, rather than an indicator for the rest of the app. If your score is low, your offers are not hitting the right notes. If they are high, keep on doing what you are doing. A low trader feedback rating will not prevent me from trading with someone that has a card I need. From there, select the card you want and touch the trade logo at the bottom. For blind trading, the general rule of thumb is to overpay. The rarer a card is, the more you should overpay in your offer. Because you cannot see what they have, you need to make sure what you offer is enough to replace the card. NOTE: Make sure you have push notifications turned on, no matter how annoying they may seem. You do not want to miss a special pack release because you were away from the app with no messages. There are many different kinds of packs available, and each pack will have different content and different chases associated with it. Insert packs are usually tied to a specific card or set, and have base included as well. Pay attention to the news feed to find out about new packs. Before buying a pack note the cost, the contents, and the spread of base levels within the pack. Some packs may only have certain base levels in the contents, so it will be very important to take a look at the odds. Inserts can be hard to pull. You may go days without pulling them if you only open a few packs at a time. Do not get frustrated. This is normal and designed this way. Daily coin bonus is your lifeblood, so get into the app at least once per day. You can either save up for a nicer pack of cards, or open some lower packs each day. If you are brand new to the game, its best to build your collection by buying cheaper packs before you dive into the more expensive insert packs. Try to accumulate some nice cards to play for points, which will get you more coins and more prizes if you can score among the top users. It is best to buy packs right after the insert release announcement is made via push notification or on twitter. There will be more people opening packs at that point, and it will be more likely that you will get nicer stuff. In all likelihood you will need to buy coins at some point to be competitive. Its just hard to beat the people who do if you choose not to. You dont have to spend a lot, but its good to invest 10-20 bucks a month if you really want to get nice stuff. 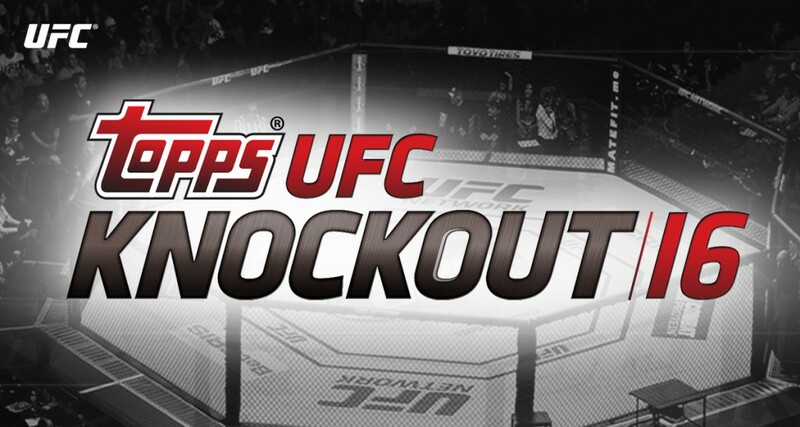 All app communication will come through @TOPPSUFC on twitter. You can also follow these people if you want more information. Most will not respond directly to questions about the app, but you can get some nice info sometimes. All questions should go through the main twitter handle.